6 'Must read' tips before you ship your first international package. Make sure the shipping box is firm. Fill the pack of stuffing material such as bubble plastic or pepper foam and cover the corners of the package with additional tape. The packaging must be capable of falling 1.5 meters in accordance with international regulations. Please note that you do not use newspapers as fillers in connection with certain censorship rules abroad. Addressing is different in each country. Some countries do not have a house number, zip code, or even street name. This can be confusing! For example, in the U.S., Canada and Australia, there is an abbreviation of the state name with a area code behind the place name. Always put on your shipping label the customer's email address and phone number. This significantly increases delivery performance. Take a good look at the average delivery time for a shipment and communicate this clearly to your customer. Regular mailings to Brazil, for example, can take up to a month before deliverd. Mail networks such as PostNL are often a little slower than the Express networks of, for example, DHL or UPS. Therefore, offer the customer the choice whether he wishes an Express Shipment (possibly at an additional cost), or a regular shipment. Shipping good with a high value? Then it is wise to make a consideration to ensure the package against damage and loss. Foreign shipments are lost more often than shipments within the Netherlands or Belgium. If many packages are shipped internationally, you can complete a separate transport insurance per package. Rates for this vary by carrier. At SendCloud, your foreign shipments are guaranteed by default. First of all, it is very important to understand the customs rules of the country you are shipping to. All international shipments outside the EU require customs clearance. For this you need to add enough paperwork to the package. To ship all goods up to 2 kg with a value up to 425 euro use the CN22 customs sticker. This custom sticker can be pasted to the outside of the package. The so-called Commercial Invoice must be added to any commercial shipment. This document is a binding customs document which includes various agreements, such as who pay the customs fees. Normally, you must add three commercial Invoice prints, one for the country you export from, one for the country you are sending and one for the recipient. Two of these documents should be included in a so-called "packing envelope" on the outside of the package and one Commercial Invoice in the package. What should you take into account when completing these documents? Enter the number, weight (in gram) and value (in €). Also state the total weight and total value of the content. Specify each item with a 6-digit HS Goods Code of the World Customs Union and state the country of origin / production. You can look up these here. Always put your signature on the customs form. In the absence of the signature, this may lead to delays. Even if you have filled in the Commercial Invoice and / or the CN22 label, the customs can still make mistakes. 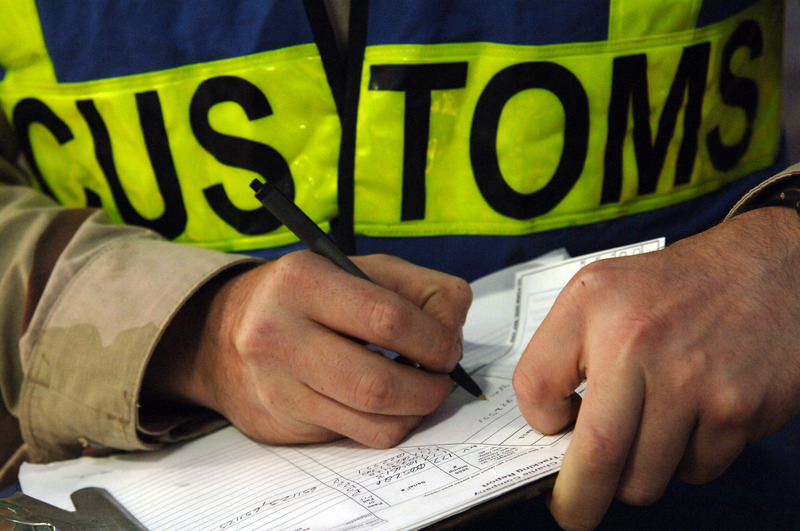 It may happen that too high customs costs are counted or that the package is still delayed by Customs, even if your forms are filled in correct. Be prepared for this and make sure that you always have a copy of the Commercial Invoice / CN22 label to check this and, if this happens, provide a modified invoice to the customs. For customers who ship with DHL, you can see which requirements an invoice must meet here.